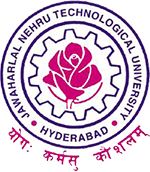 JNTUH B.Tech 1-1 & 1-2 Sem Academic Calendar For AY 2017-18, jntu hyderabad R16 regulation I year Academic Calendar download. JNTU Hyderabad has announced Academic Calendar (2017-18) for non- B.Tech 1-1 & 1-2 Sem Academic Calendar For autonomous constituent & affiliated colleges b.tech I & II semesters. Note : The above academic calendar is For Non-Autonomous Constituent & Affiliated Colleges.